With the rapid emergence of visual social media platforms like Pinterest and Instagram, brands and consumers have drastically changed the way they interact online. Conversations that were previously held with text are now driven by images, creating valuable opportunities for social media marketers to engage with their fans. It’s no surprise that images evoke stronger emotional connections, which is why these visual engagement opportunities are so valuable. Stronger emotion brings about curiosity and discovery, which leads to clicks and, well, revenue. But before marketers jump into this visual web, it’s important they take a step back and recognize that a new approach is required. No longer will quick-witted 140-character tweets and traditional monitoring tools be sufficient. In order to reap the benefits of image-driven engagement, marketers need to expand their current wheelhouse of social media knowledge and tools. Below, you’ll see how images are changing the role of social media marketers and discuss three musts for brands that are eager to conquer the visual web. 1. Build art director skills. As visual engagement grows, marketers will be required to produce great images that still fall within their branding. At the most basic level, they’ll need to understand what makes a great photograph — and it’s more than just implementing the “rule of thirds“. In a recent study by Curalate, our data scientists analyzed over 500,000 Pinterest images and found a number of image characteristics that drive higher engagement on the visual bookmarking platform. The results were compelling: images without faces that had a vertical orientation and little background saw the highest amount of engagement. Although this data is specific to Pinterest, it’s important for brands to acknowledge the fact that science impacts social engagement and marketers need to leverage this data in order to direct their brand’s content strategy. Curating images will prove just as important. 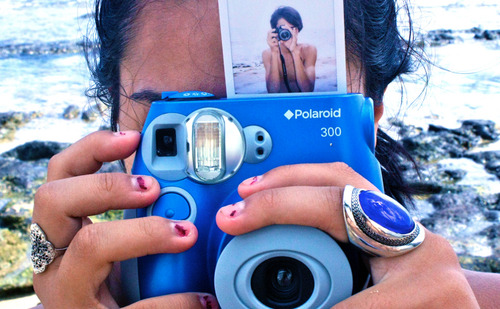 Every second, roughly 5,000 photos are being shared on Facebook, Tumblr and Instagram. A significant amount of this content is user generated, giving brands the opportunity to bring their fans’ images into their content strategy. Marketers will need to act as curators, identifying which user-generated photos are “on brand” and high quality enough to share across channels. 2. Always be closing (carefully). Pinterest and Instagram allow consumers to engage at a product level for the first time. Not only do they express interest in brands, but they also reveal the exact products they love down to the style, color and size. Social media teams now have the opportunity to gauge purchase intent in real time and push consumers to buy. Whether it’s recommending similar products to a customer who Instagrams a photo of themselves post-purchase or offering a discount code to users that are pinning your brand’s products to “Wishlist” boards, the opportunity for social teams to drive sales is greater than ever. However, keep in mind that with this granularity comes great responsibility. Offline, we’ve all experienced sales associates being a bit too pushy when we’re browsing in brick-and-mortar stores. Brands need to make sure they remain authentic and relevant when engaging at this stage of the purchasing funnel. 3. Research and master image marketing tools. As mentioned earlier, images are being shared at a record pace. Without the ability to leverage this trend, brands have no part in the process. Luckily, dozens of platforms, services and tools have emerged to create an ecosystem of companies that are aligned by one common goal: to help brands market with pictures. Over and VSCO, both iPhone apps, help marketers quickly create and edit photographs right from their phone, allowing brands to tell their story in real time without sacrificing quality. Tools like Chute and SnapWidget generate embeddable website widgets that dynamically display Instagram photos directly from brand accounts and community-driven hashtags. With Curalate, marketers can track engagement with a brand’s images across Pinterest and Instagram, and provide a number of tools that enable brands to join these conversations, recognize which images are generating the most engagement and launch image-driven social media promotions. Whether brands are looking to engage with consumers at the top of the funnel or increase conversions at the bottom, they’ll need to quickly adapt to the growing demands of the visual web. The same rules from the text-based web apply: Be smart, strategic and use all available tools. By being smarter about the creation and curation of images, strategic when joining visual conversations, and knowledgeable about the tools available in this space, marketers can successfully embrace the image-driven changes in social and conquer this new visual web.